As soon as the term "content marketing" became a hot buzzword several years ago, companies began scrambling to pump out blog posts. After all, it's as easy as slapping some words together and hitting the 'publish' button, right? There are a lot of factors that determine the success of content, including its length. Long-form content, which is typically described as being longer than 2,000 words, has proven to perform better, helping to achieve. 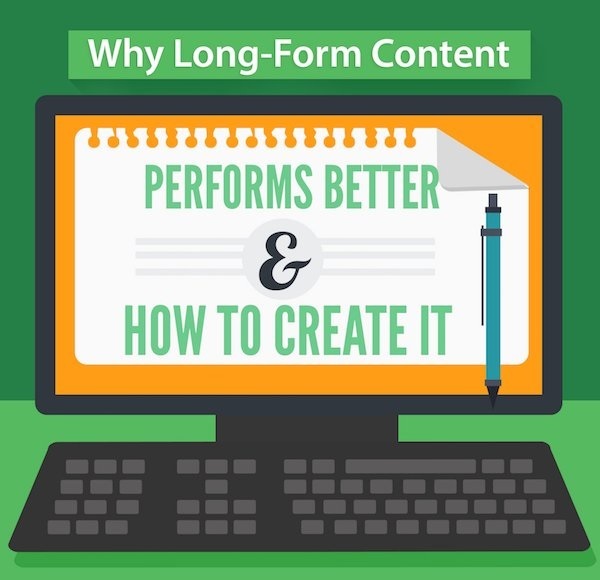 Check out the infographic below from SerpLogic, highlighting the many benefits of long-form content, as well as a six-step process that details how to create it.